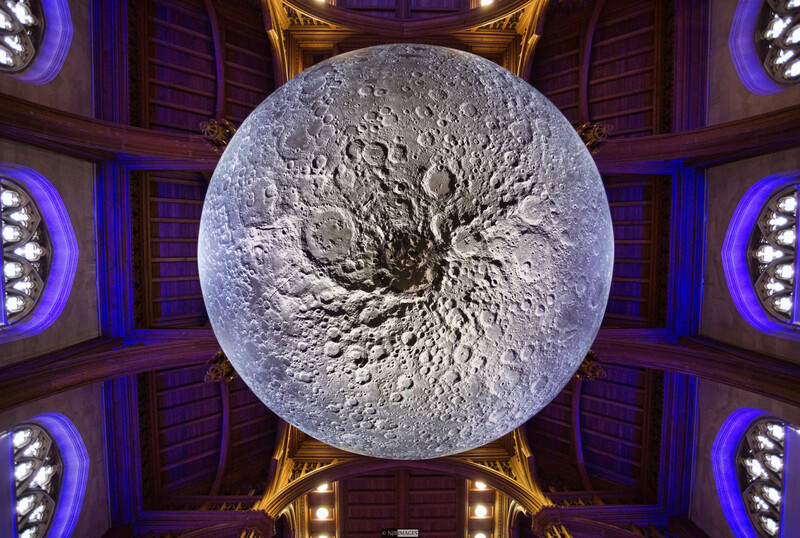 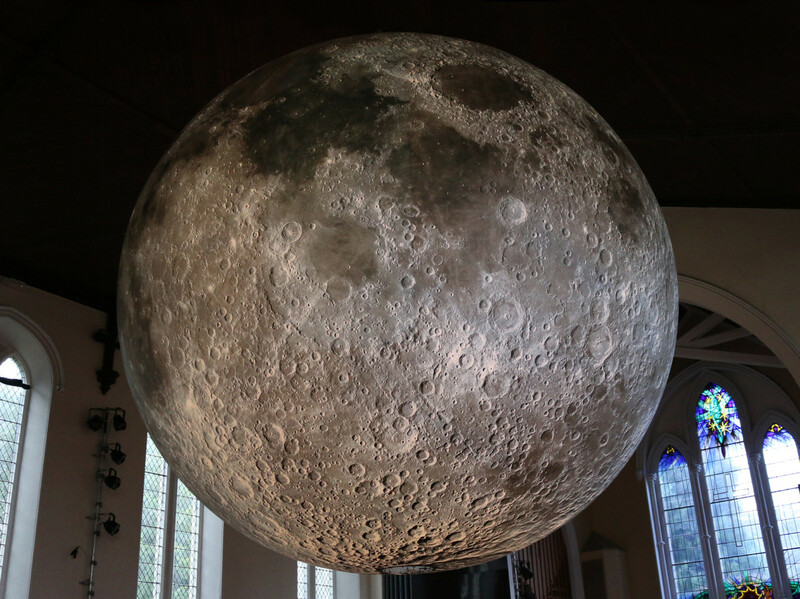 Luke Jerram created several replicas of the moon in a scale of 23 feets, that he is now exhibiting worldwide under the name of Museum of the Moon. 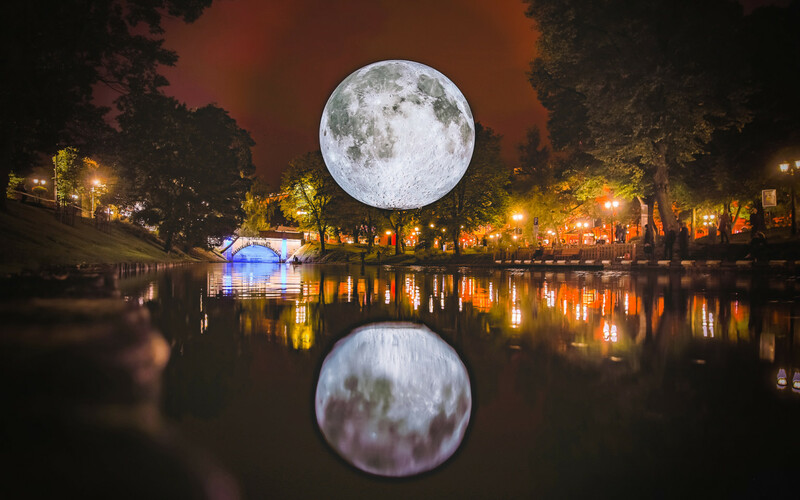 The project visited China, Finland, the United Arab Emirates, Australia…thanks to her maternal and sweet face, the Moon is like a protecting presence for all those who look at her from all over the world. 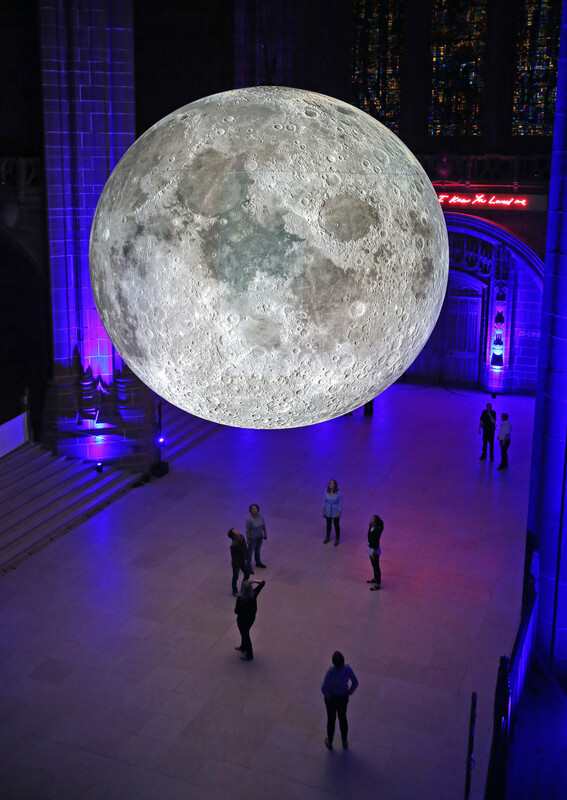 A music by Dan Jones has been composed for this particular installation. 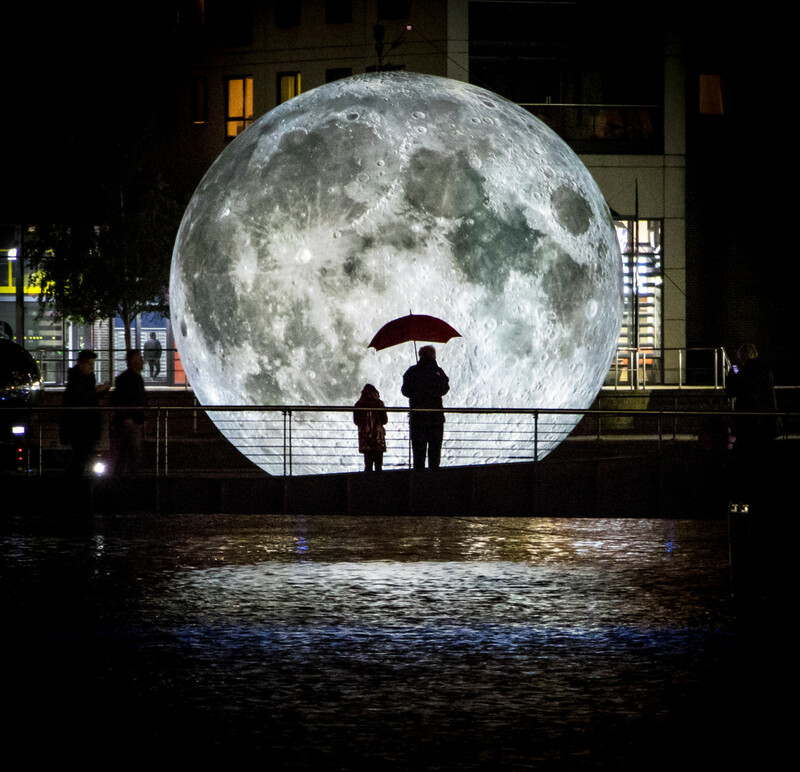 The picture has been found into the archives of the NASA’s Astrogeology Science Center.